Queen Elizabeth II is turning 90 on Thursday and she'll be spending her birthday at Windsor Castle, the oldest and largest occupied castle in the world. Windsor is just one of nine residences at her disposal, and together they house a priceless art collection and some of the world's rarest jewels. But the Queen herself isn't nearly as rich as many think. Most of the royal treasures are not even hers. The Queen's personal fortune, estimated by the Sunday Times at £340 million ($490 million), is tiny compared to the wealth of the world's richest people. Liliane Bettencourt, owner of 33% of L'Oreal (LRLCF) and the world's richest woman, is worth $40 billion, according to Forbes. The wealth of the richest Briton, Gerald Grosvenor, the Duke of Westminster, is estimated at $12.9 billion. The Queen even dropped out of the list of the 300 richest Britons for the first time last year. The Sovereign Grant is essentially the Queen's expense account, covering the costs of travel, security, the upkeep of the royal palaces, and staff. It was worth £37.9 million ($55 million) last year. 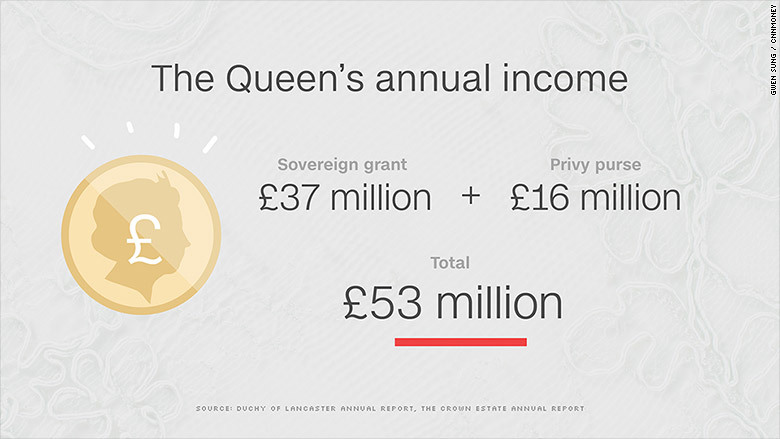 The Queen spent £35.7 million, with the surplus put away in a rainy day fund. The value of the payout is set at 15% of the profits generated by the Crown Estate of royal palaces, farms, entire streets in London, and even parts of the seabed in U.K. waters. The British government manages the estate -- worth about £11 billion ($15.8 billion) -- collecting the profits and paying the Queen her share. But even though the Queen is the legal owner, the assets don't belong to her personally. That's because she has no control over how the estate is managed. The estate has to be preserved for future generations, and the Queen is not allowed to sell it. If being the Queen were a regular job, the Privy Purse would be the basic salary. The historical term describes the Queen's income from the Duchy of Lancaster, a private estate of commercial, agricultural and residential properties that dates back to 1265. That income amounted to £16 million ($22.6 million) last year, the highest ever. 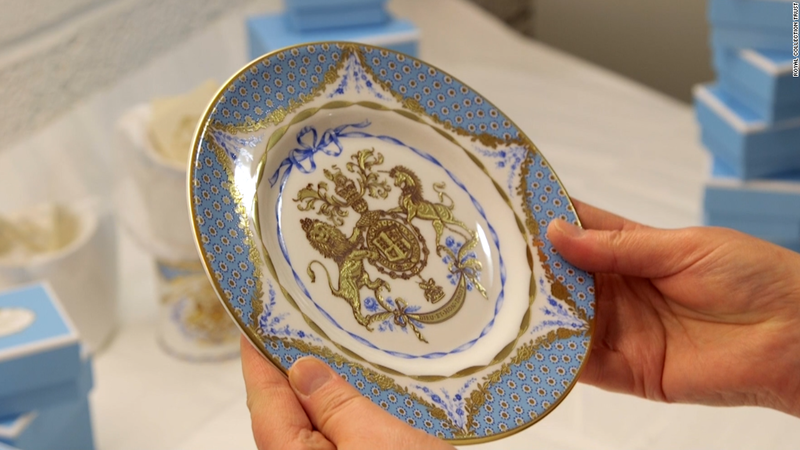 The Queen uses this money to pay for official and private expenses, including some costs incurred by other members of the royal family who undertake official engagements on her behalf. 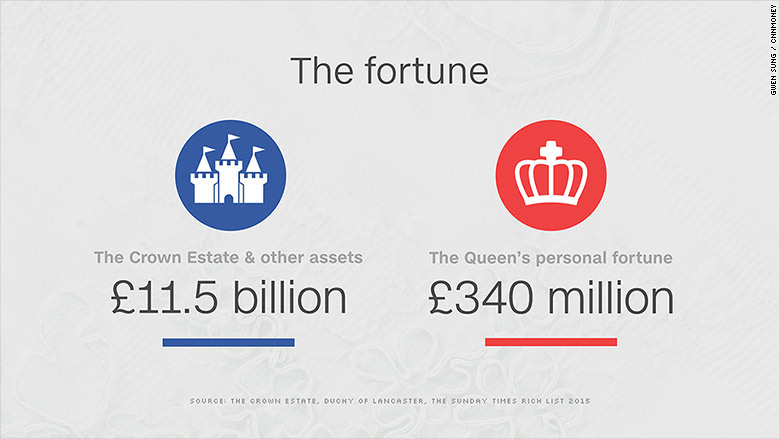 And then there is the Queen's personal wealth and income, estimated at £340 million ($490 million). The Queen inherited Balmoral Castle in Scotland, and the Sandringham Estate in the east of England, from her father. She also owns a valuable stamp collection and numerous works of art. The Queen is not obliged to disclose her personal investments, but British media reports suggest she holds shares in blue chip British companies, and describe her portfolio as "conservative." Until 1992, the Queen did not pay any tax. Since 1993, income and capital gains from her personal wealth has been taxable at the same rates as other taxpayers. She also pays tax on part of the Privy Purse, but the Sovereign Grant is tax free income.